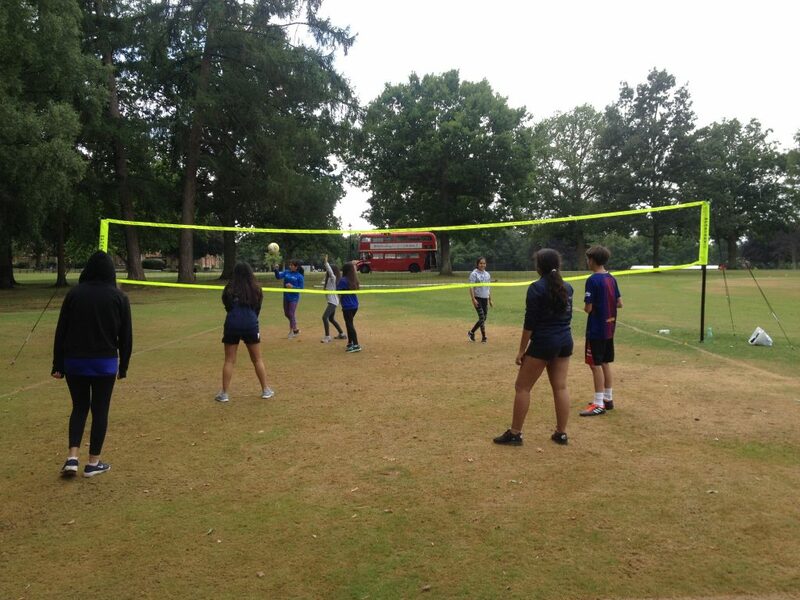 After the torrential rain of yesterday we were very unsure what kind of weather we would wake up to today, however, the sun was shining and we were able to get outdoors for our first set of activities in the morning. 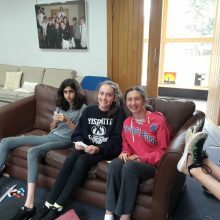 This was, of course, after a sleep in and a late breakfast. It has to be said that the food at Wellington College is very tasty with the average breakfast offering a large number of delicious hot and cold options. 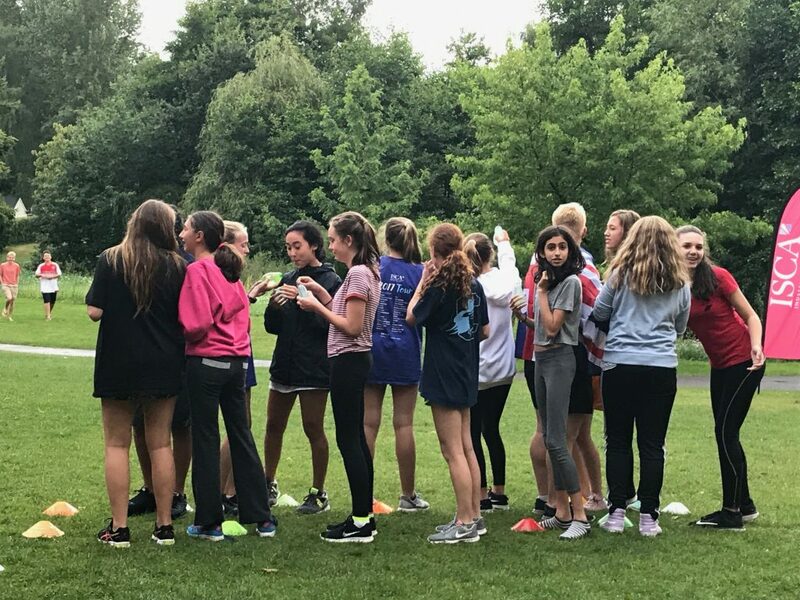 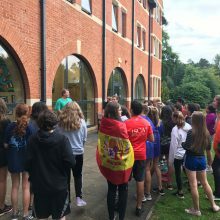 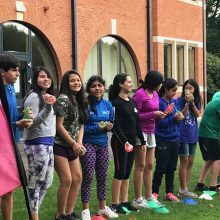 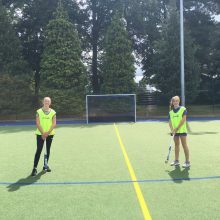 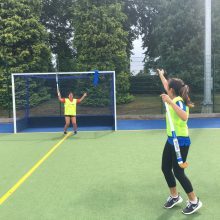 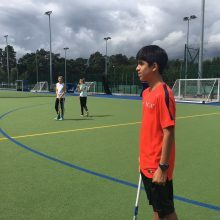 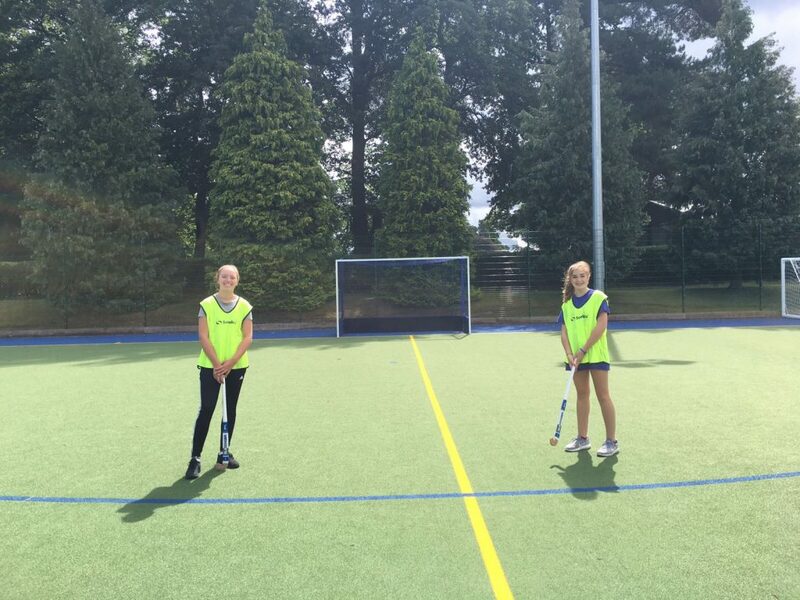 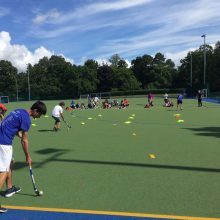 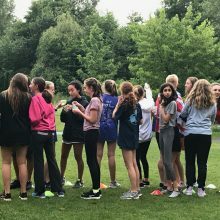 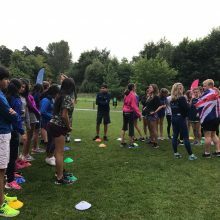 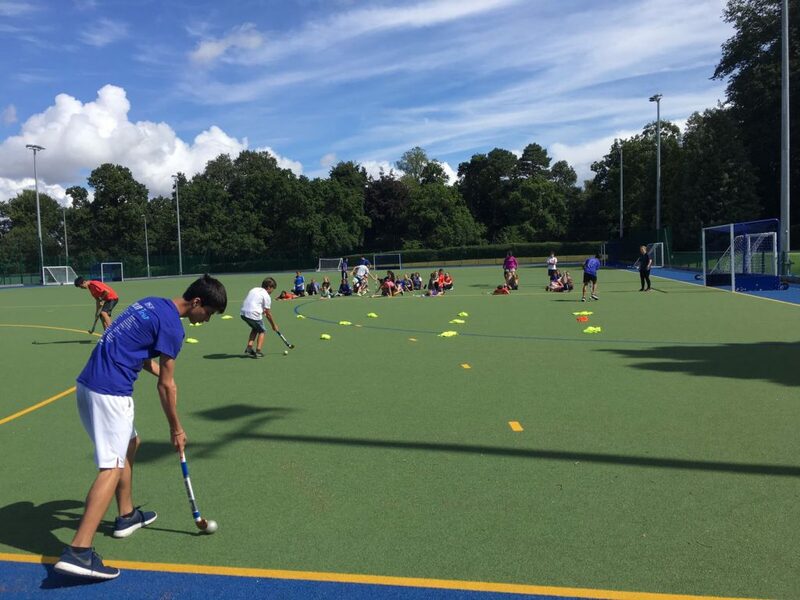 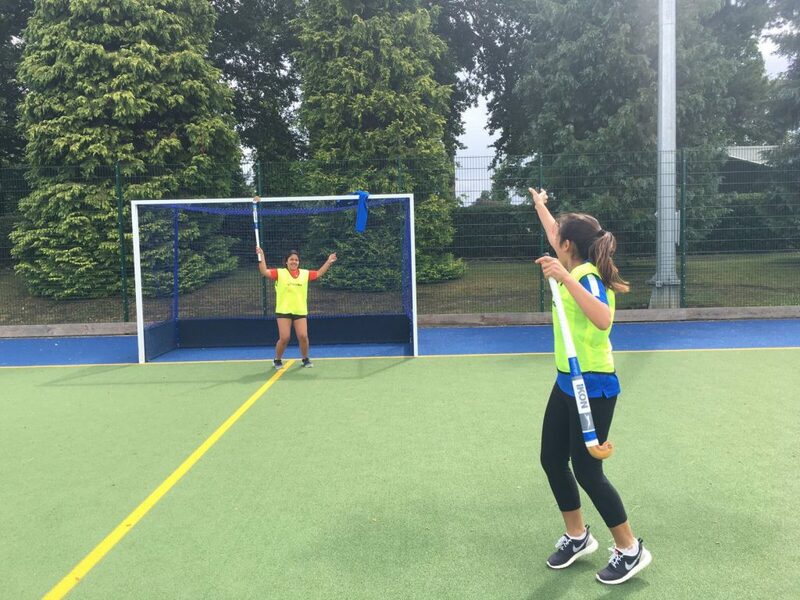 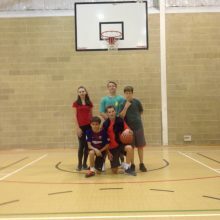 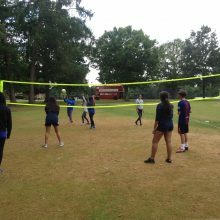 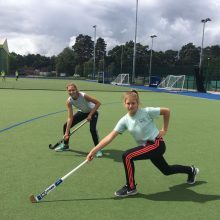 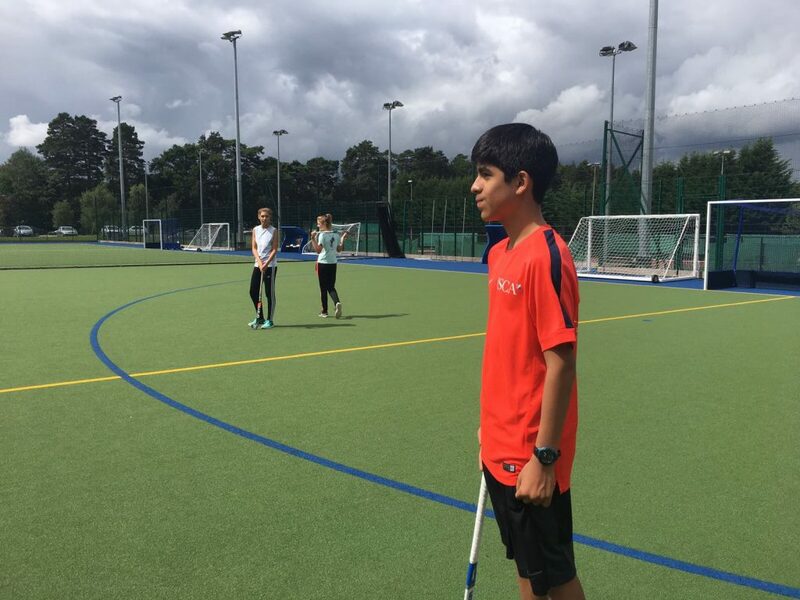 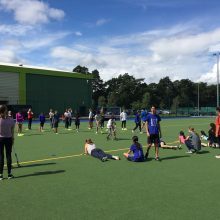 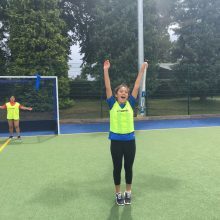 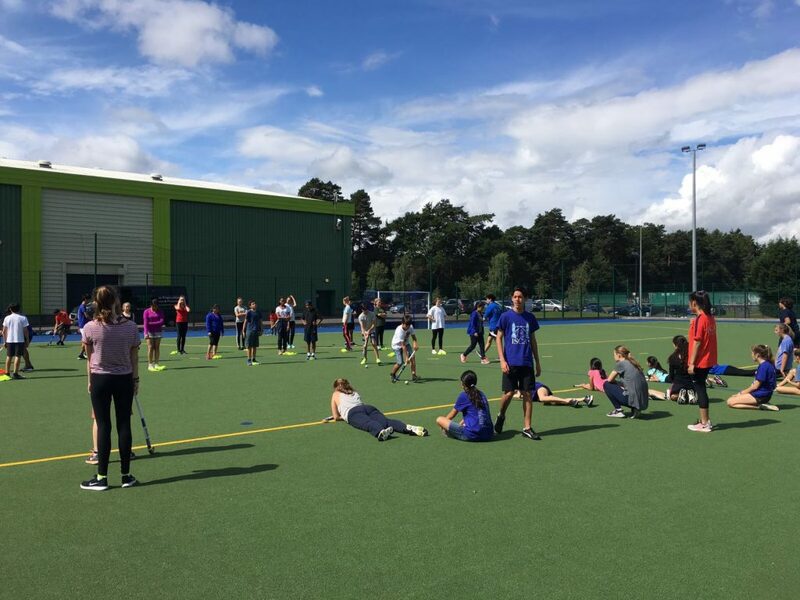 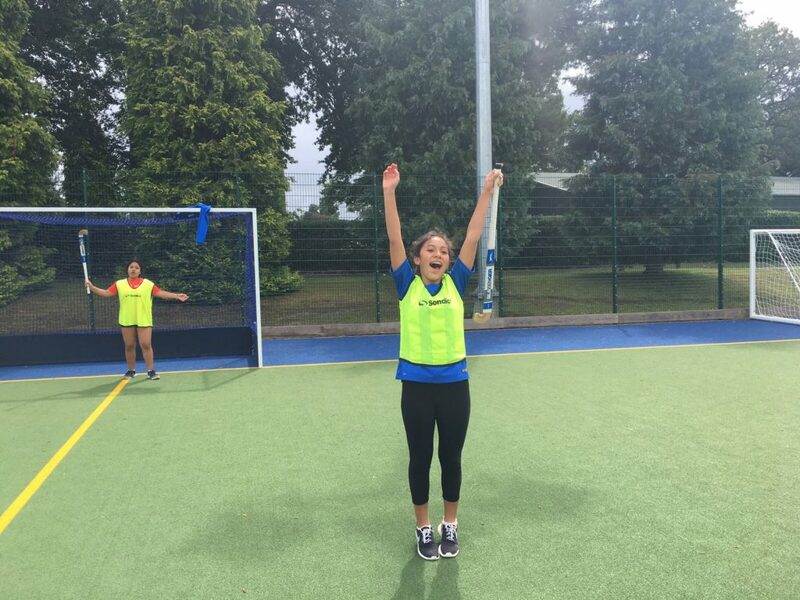 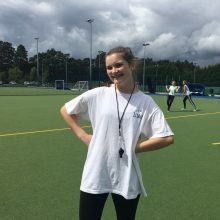 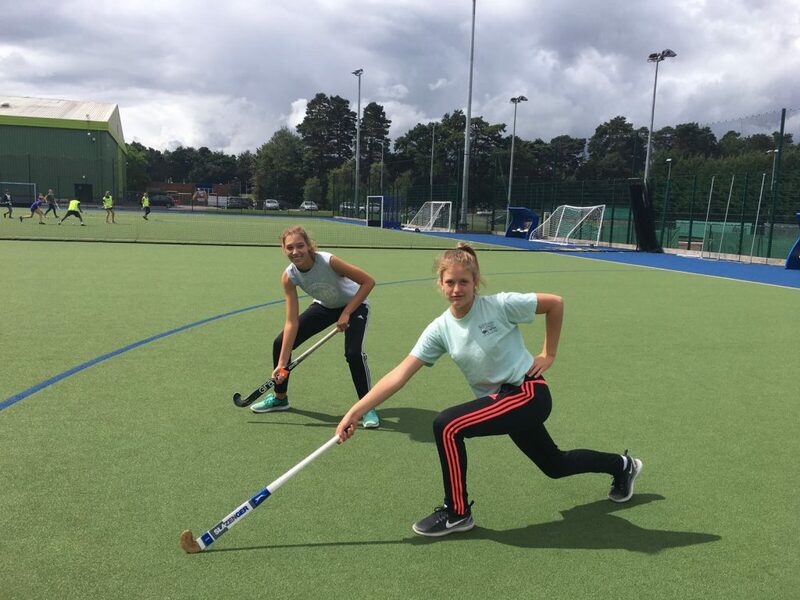 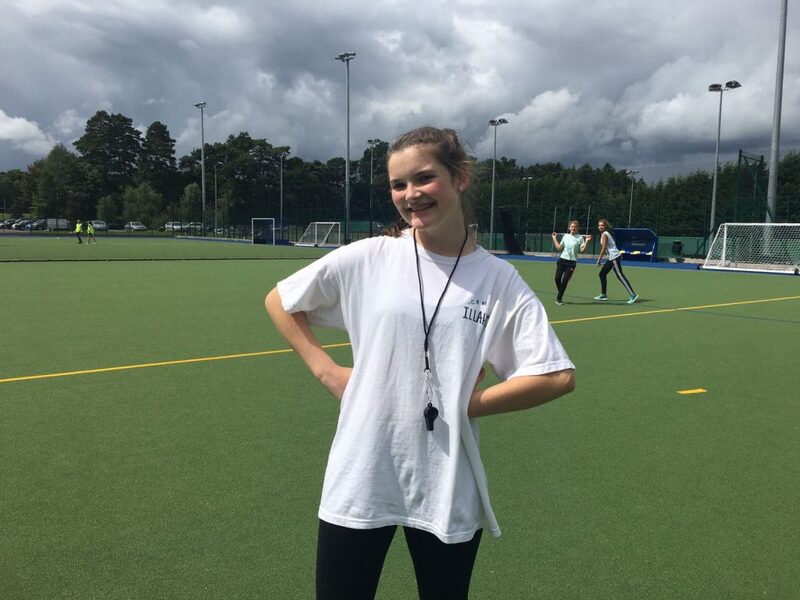 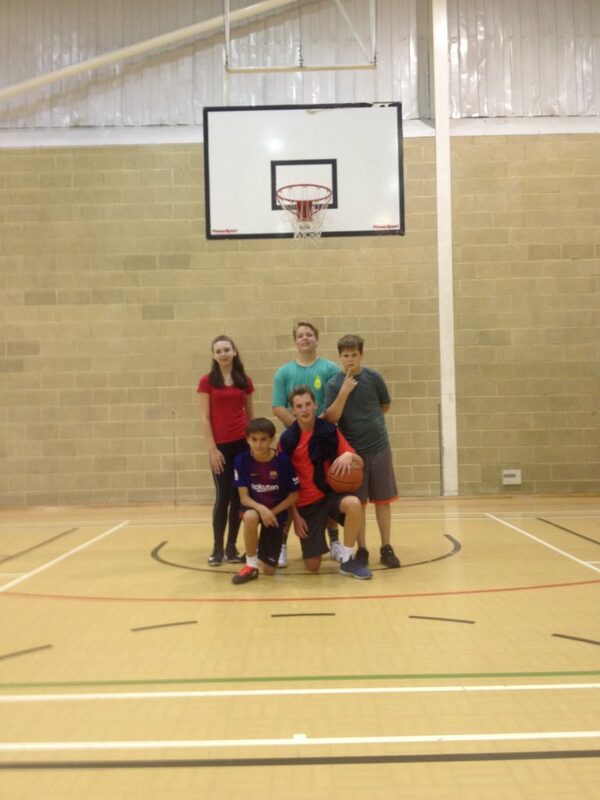 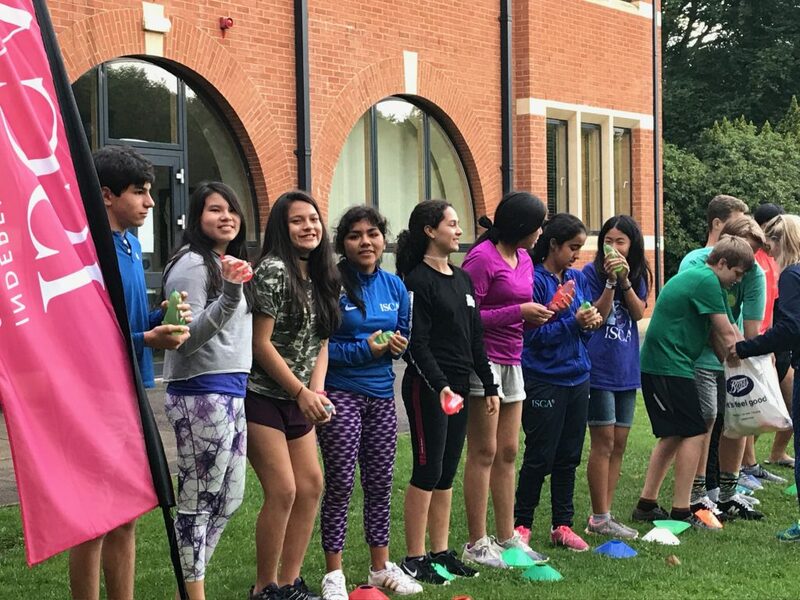 The young people on ISCA were able to choose from field hockey, rugby, squash and ultimate frisbee and the weather remained cool but dry throughout this session. 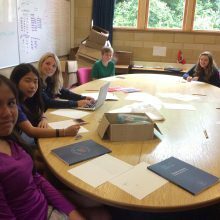 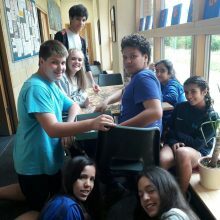 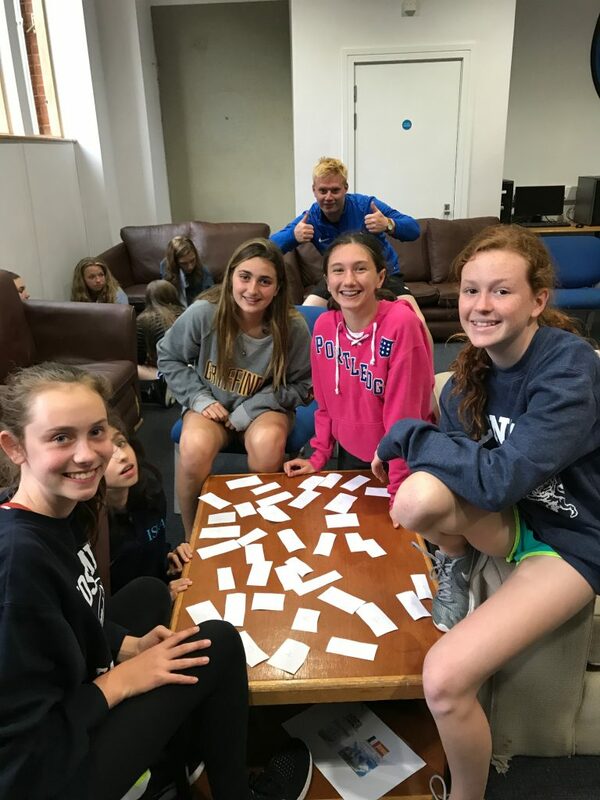 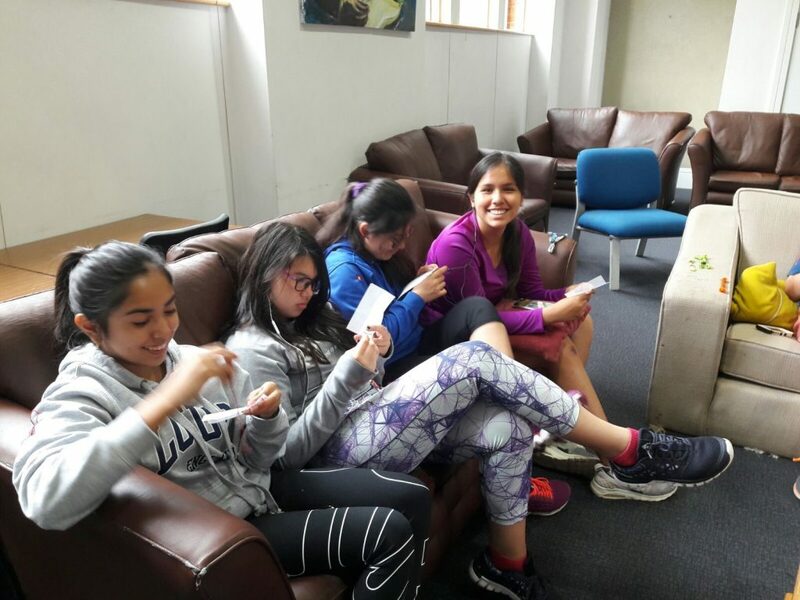 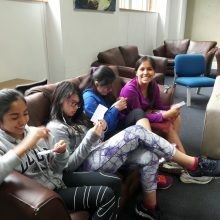 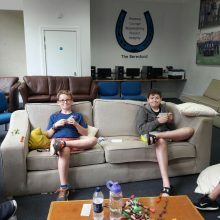 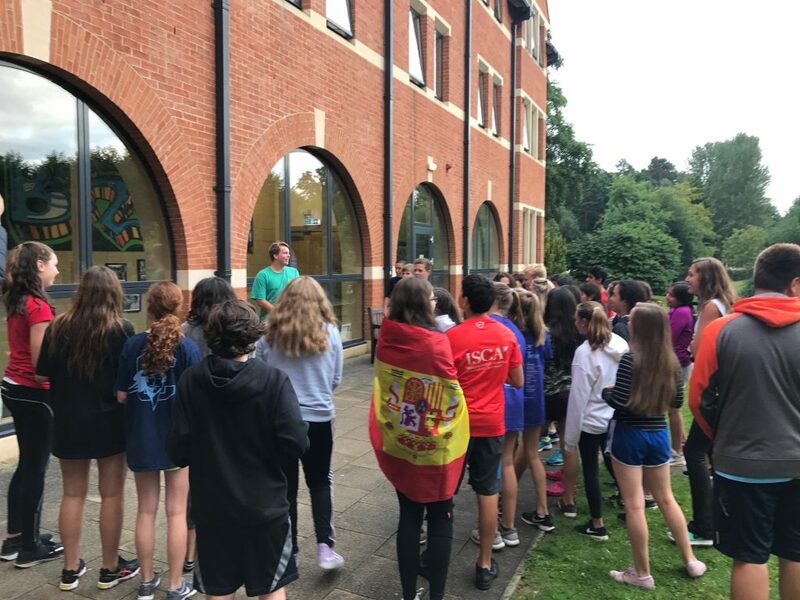 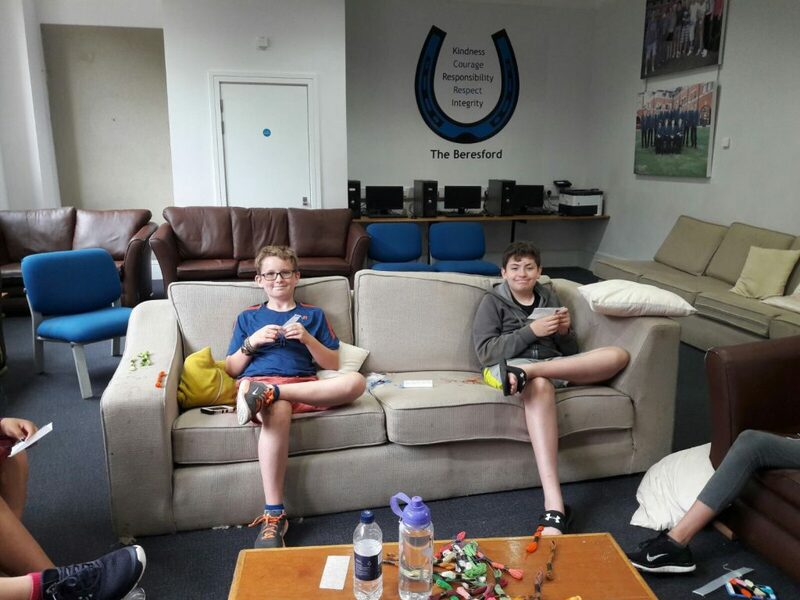 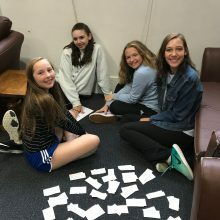 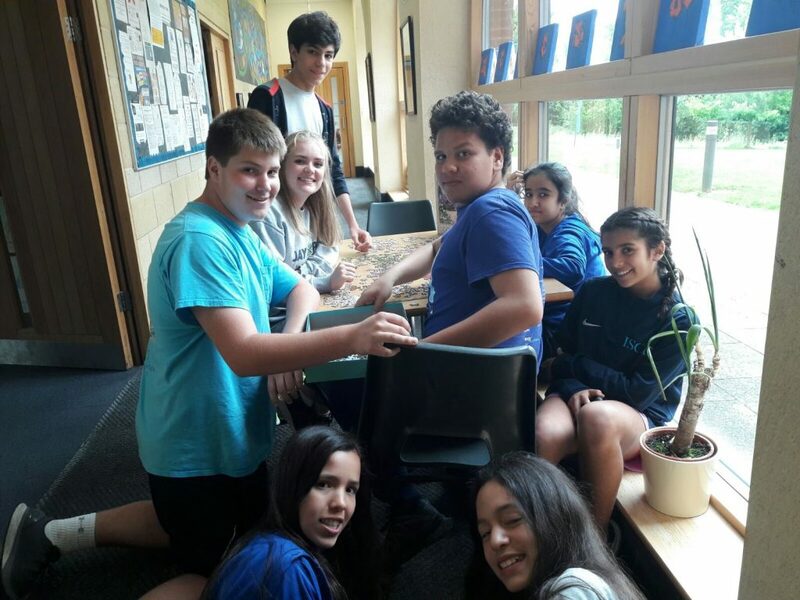 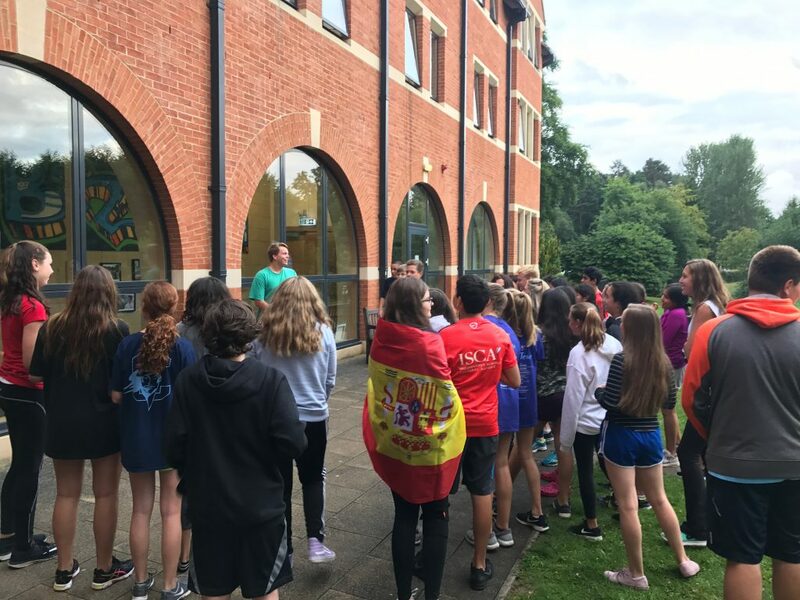 Hungry and tired, the students returned to the dining hall for a superb lunch, which was followed by another choice of indoor activities as the rain returned. 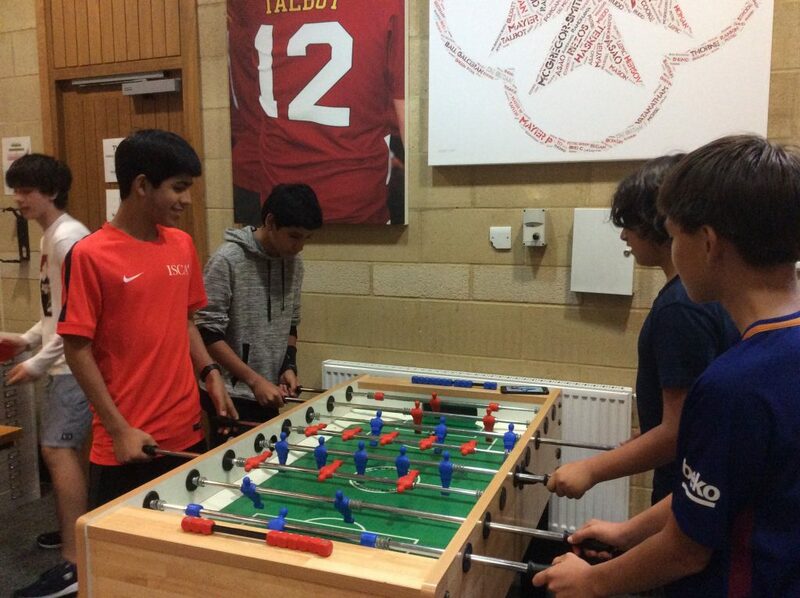 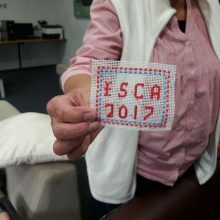 Board games, needlework, basketball (indoors), squash, table tennis and art were on offer. 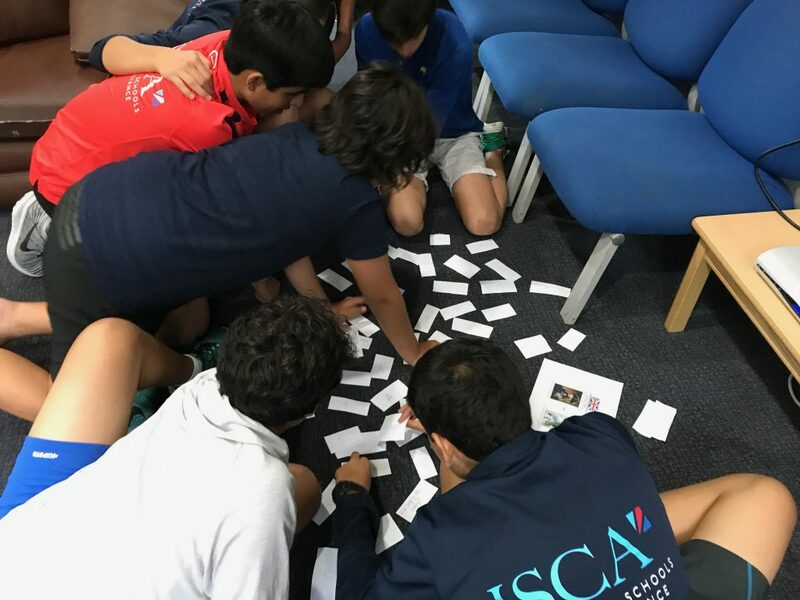 A surreal peace took over the space of ISCA as students were concentrating on their chosen activity. 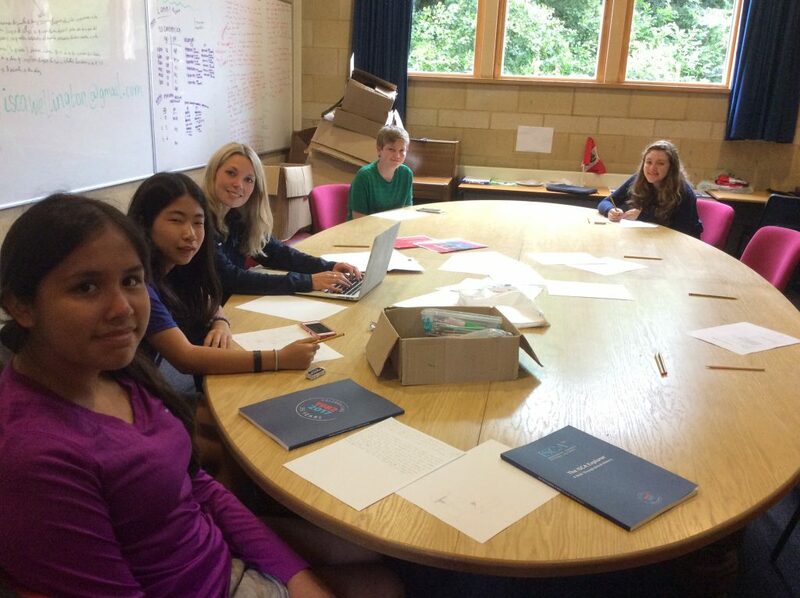 Each day a news team sets to work to write up a newsletter about the trips. 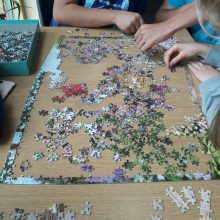 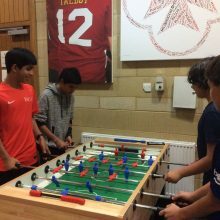 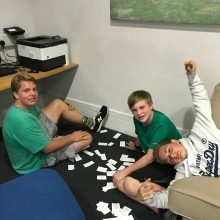 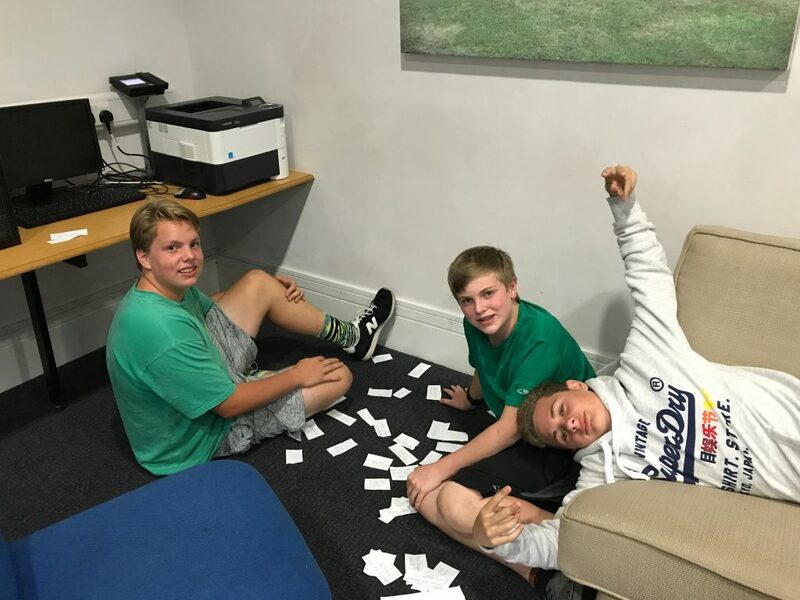 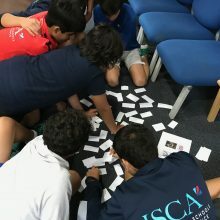 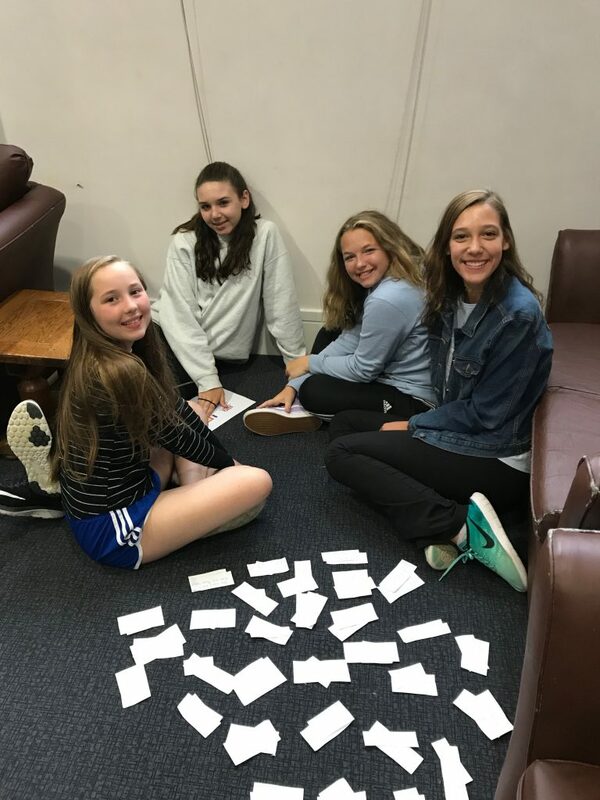 This kept a few more students busy whilst ping pong (table tennis), a movie and a 1000 piece jigsaw puzzle kept the students busy whilst waiting for dinner. 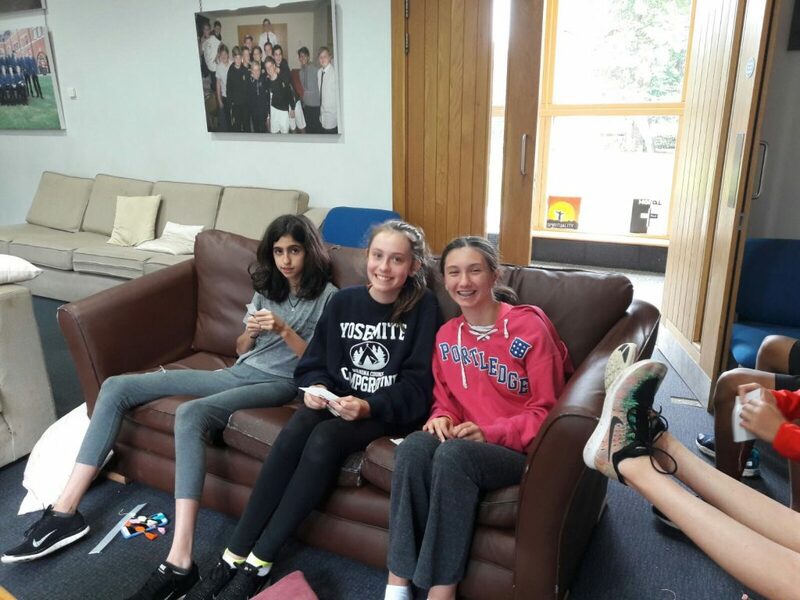 (You guessed it, it was raining again). 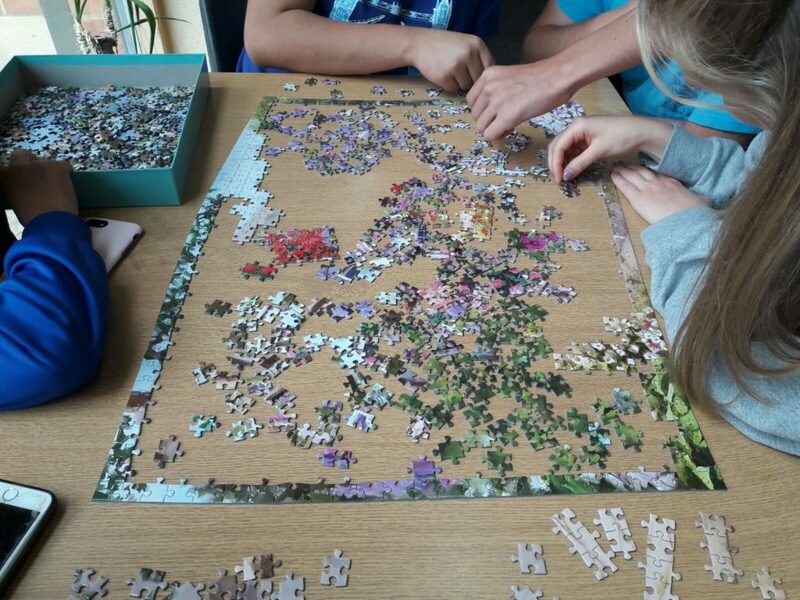 The big question is, can we complete the jigsaw puzzle before the students leave for their respective countries in just over 1 week? 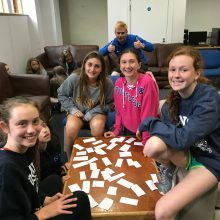 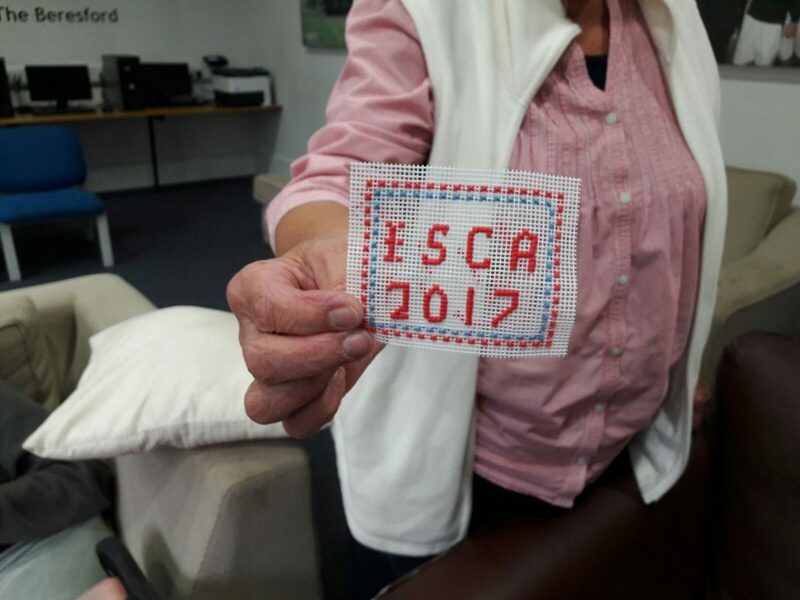 After dinner, the students and teachers attended workshops held by the ISCA staff all about Portsmouth, the home to the flagship of the Royal Navy and Nelson’s ship, HMS Victory. 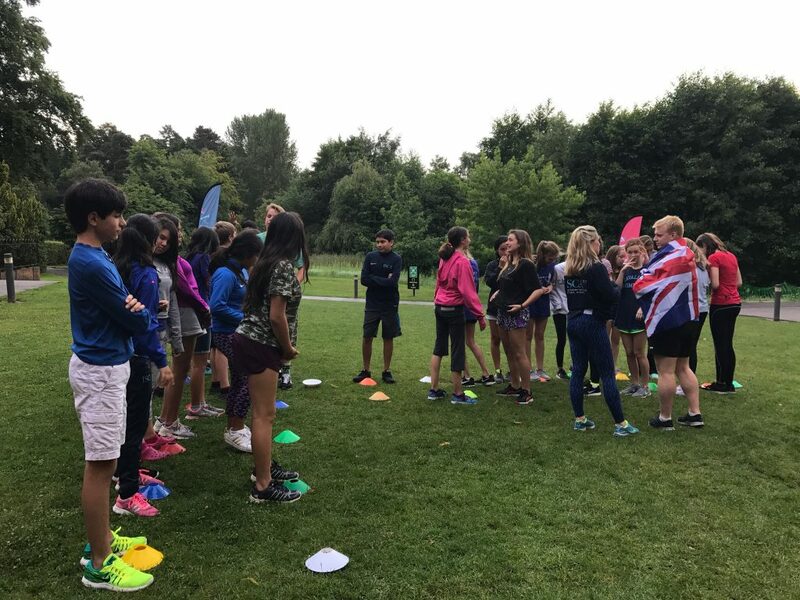 There was even a reenactment of the Battle of Trafalgar with water balloons ready for our day tomorrow at Portsmouth Historic Dockyard and Arundel Castle!